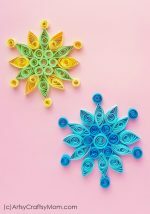 These DIY Snowflake Lacing Cards are the perfect way to give your loved ones a festive greeting, not to mention a good way to strengthen sewing skills! When I was a kid, my siblings and I used to spend a good part of December making cards. There was chart paper, glitter and all kinds of stuff everywhere. We made Christmas cards and New Year cards and once we got caught up in it, there was no stopping us! Now that I’m not a kid but have one of my own, I’m pretty much re-living my childhood! 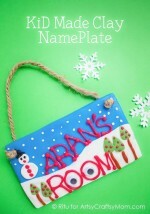 We love making handmade cards, especially with pretty seasonal themes like snowflakes. You probably know how much I love snowflakes when we made the Popsicle Stick Snowflake Craft. 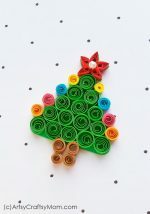 This craft and the Christmas Tree Lacing Card gave me the idea for today’s craft – DIY Snowflake Lacing Cards! These cards are really easy to make for older kids and a good way to introduce sewing for the younger ones. Pick a needle with a big eye so threading does’t take forever! 1. 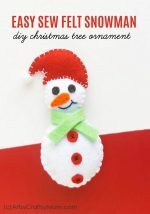 Thread the yarn through the needle and lay out everything to make your snowflake lacing cards. Fold your card stock into half to make a card and then open it again so that you can do the lacing on the front side. 2. Now comes the fun (or complicated) part – marking out the snowflake! While it doesn’t have to be absolutely perfect, using a ruler helps to keep things symmetrical and neat. Mark out your snowflake as shown in the image below. You’ll see that there are gaps between the lines – leave them as they are. 3. Okay, time to get lacing! Start from the center and take it out through the end of the snowflake. Make a stitch along the line and take it down as the line ends. 4. As you can see, the basic idea is to keep the stitches along the lines and to use the gaps to move the needle towards your next point. As you move from one arm of the snowflake to another, you’ll see the pattern beginning to form. 5. When you’re done, knot out the last end and snip – your snowflake is ready! 6. Of course, we can’t leave it looking so bare, can we? So we stick on decorative strips on the edges of the card. 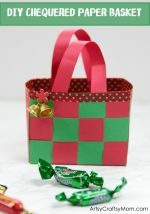 You can also use washi tape if you like – I’m sure you get lots of seasonal themes in stores now. I also fixed a little pearl bead in the center to give it a finished look. See how easy it is to make your own lacing cards? This is a great exercise for kids to understand basic sewing and keeping it within the lines is great for strengthening fine motor skills. 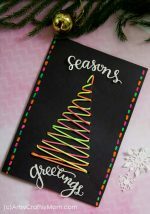 You can make these cards in a number of colors and gift them to all your friends – nothing like a lovely hand-sewn card that says ‘Season’s Greetings’ with love!